The hot-and-happening tech sector is going from strength to strength, and the semiconductor sector, which is a major sub-sector within the tech sector, has also performed exceptionally well in recent times. Following its recent checks and distribution survey work, Morgan Stanley discussed in a note Monday the current stage of the semiconductor cycle, and also the semiconductor stocks it would add to and the ones it would take profits on. Analysts Craig Hettenbach and Joseph Moore noted that order trends remained steady, thanks to solid macroeconomic backdrop. The analyst also noted that book-to-bill ratio in distribution remain above 1:1, with broad-based strength globally. However, the analysts expect the ratio to moderate a bit, heading into the seasonally weaker calendar year fourth quarter. Morgan Stanley indicated that its AlphaWise distribution survey has picked up signs of potential cyclical flags in the broad-based analog segment, which has seen double-digit year-over-year growth. This growth rate has been clearly above the end market growth. While noting that the previous corrections in the current cycle, once in the second half of 2011 and the second time in the second half of 2015, were catalyzed by notable downshifts in macro growth, the firm said it believes this time around, continued global growth would mitigate the risk of a sudden contraction in lead times. However, the firm feels any downtick in growth could lead to a sharp inventory correction. 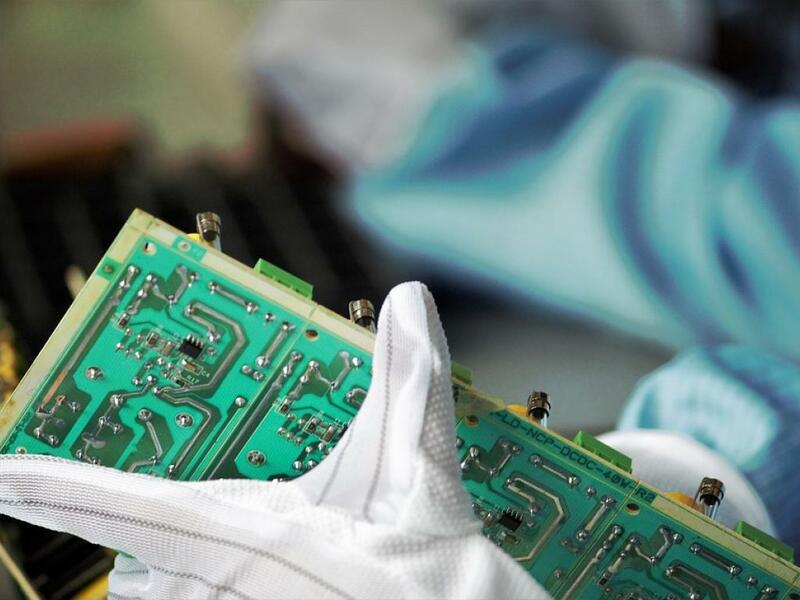 Morgan Stanley highlighted a striking feature of the current environment, where semiconductor companies are trying to get out in front of a potential correction. "We don't think such a scenario is under the control of semiconductor companies, although a preemptive move by them to make adjustments before business turns down is a change in behavior relative to prior cycles," the firm added. 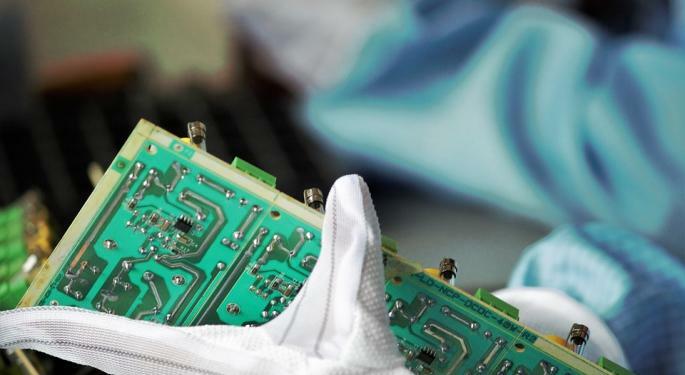 Morgan Stanley said in the memory/MCU space, it sees an attractive risk/reward skew for Analog Devices, Inc. (NASDAQ: ADI), TE Connectivity Ltd (NYSE: TEL) and Microchip Technology Inc. (NASDAQ: MCHP). if industry trends remain healthy, aided by company-specific growth drivers and greater upside potential in margins, the firm is more confident in the upside opportunity for these stocks. However, if the risks of overheating materialize into an inventory correction, the firm thinks even these stocks could sell. Analog Devices: The firm expects the company to post upside relative to estimates on Linear synergies and margins. The company is best positioned to drive growth in the industrial market, the firm added. TE Connectivity: Morgan Stanley sees scope for operating margin improvement, with the management striving to increase operating margin from low-teens to high-teens. The firm expects the company's Dec. 4 Analyst Day to serve as catalyst. Microchip Technology: The firm feels there is still room for the company to expand its model, with respect to both gross and operating margins. The firm also noted that the company's strategy of cross-selling is starting to gel. On the other hand, the firm is of the view that Maxim Integrated Products Inc. (NASDAQ: MXIM) and Cypress Semiconductor Corporation (NASDAQ: CY) are relatively unattractive. Maxim Integrated: Morgan Stanley believes the company's exposure to consumer products such as smartphone and legacy communication exposure are overhangs on growth. Cypress Semiconductor: The firm sees limited upside to gross margin and believes the valuation is unjustified, considering low margin profile.